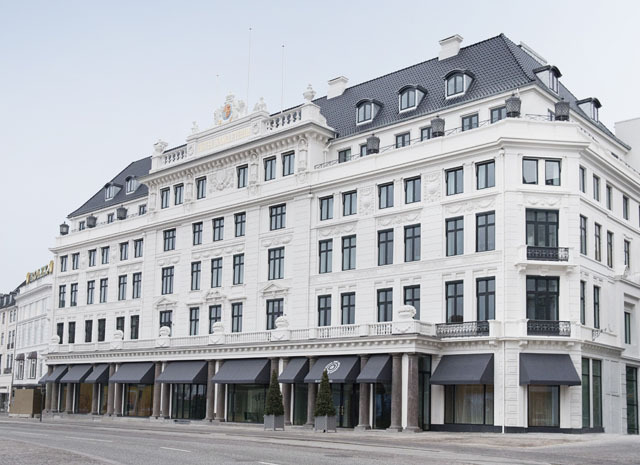 The 90-room d’Angleterre, Scandinavia’s grandest hotel, reopened in 2014 after a three-year process that saw the closure, renovation, refurbishment, beautification and gradual unveiling of every inch of the Copenhagen landmark. The “new” d’Angleterre retains the hotel’s historic Palm Court ballroom and combines traditional elegance with the latest technology. Its facilities include the Michelin-starred Restaurant Marchal, Balthazar (Copenhagen’s first champagne bar), the luxury Amazing Space spa and pool and fitness center and meeting rooms. Located on Kongens Nytorv, the main square of the Danish capital, it has long been the Copenhagen address of choice for royalty, statesmen and the illustrious. The d’Angleterre is a member of Leading Hotels of the World.